Found one file extension association related to LabScribe and 1 file format developed specifically for use with LabScribe. LabScribe software is a powerful recording and analysis software package offered by iWorx. LabScribe has an intuitive, user-friendly interface for setting up acquisition screens, calibrating signals and analyzing data. Up to 128 channels of data can be displayed simultaneously at sampling rates as high as 100,000 samples/second. A comprehensive set of analysis routines have been preconfigured making data analysis and interpretation quick and easy. 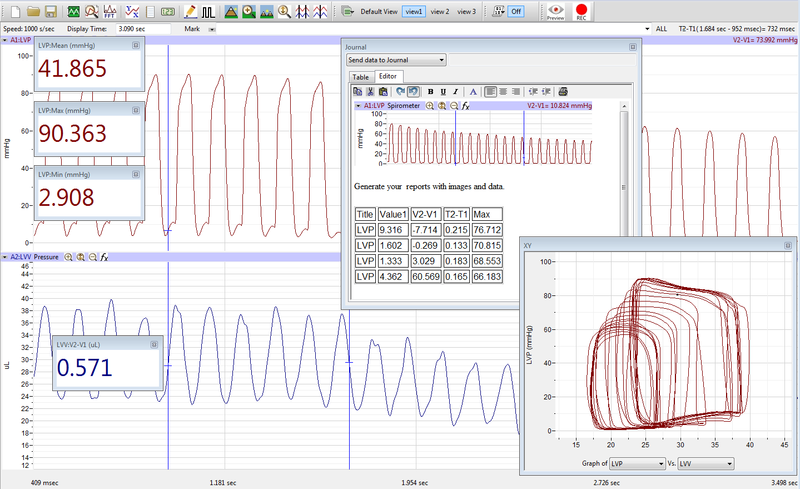 Specific analysis modules for cardiovascular research are available to analyze pressure signals, blood flow data, ECG recordings, ventricular pressure-volume loops and sonomicrometry dimension data. LabScribe includes a scripting function for use if the built-in analysis tools fall short of what is required for your application. Scripting languages currently supported include: Dadisp, Python, MatLab, LabView, and C++. If you need more information please contact the developers of LabScribe (iWorx), or check out their product website.